An initial squad has been announced for the 2015 WAFL State Game against the South Australian Football League on Saturday, May 23 at Lathlain Park. East Fremantle have 5 players represented in the squad; Liam Anthony, Andrew Stephen, Brock O’Brien, Rory O’Brien, and Bradd Dalziell. Liam Anthony’s first season back in the WAFL has been successful so far with this selection in the state squad testament to his performance. Liam played 6 seasons at the North Melbourne Football Club in the AFL from 2009 to 2014, playing 58 games and kicking 27 goals. 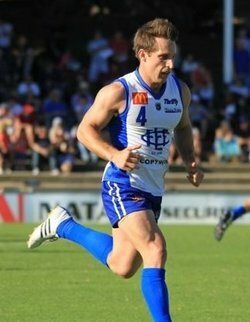 Liam started his career at East Fremantle moving to Perth from Geraldton in 2006 He played a total of 42 League games over three season with the Sharks before be in the AFL Draft being picked up by North Melbourne with pick 43 in the 2008 AFL Draft. After playing 4 games in 2014 Liam left North Melbourne and returned to Perth playing for the Sharks. 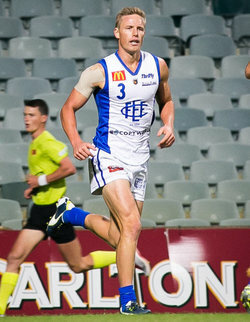 Brock O’Brien has been a regular performer in the WAFL for all of his 109 games to date, stretching over 10 seasons for both East Fremantle and Peel Thunder. In the 2006 National Draft Brock was picked up by the Fremantle Dockers with selection 52, Brock played 3 AFL games over 4 seasons with Fremantle and started his career at East Fremantle in 2011. Brock represented WA in the State Game last year. 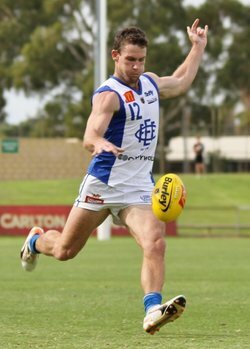 Rory O’Brien, like his brother Brock, has been playing for East Fremantle since the 2011 season. Rory previously won 2 Best and Fairest awards at Peel Thunder in 2006 and 2010. Since being at the Sharks he has won 3 Lynn Medals and the 2013 Sandover Medal as the best player in the competition, polling 55 votes. Rory has previously represented the WA State side on 2 occasions in 2013 and 2011, and his good start to the 2015 season has seen him again selected in the squad. Bradd Dalziell played 43 AFL Games first for the Brisbane Lions where he was picked up in the 2007 National Draft with pick 52, playing 15 games for the Lions in 2008 and 2009. 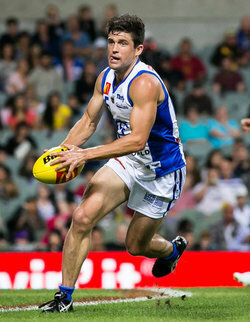 Bradd was then traded to the West Coast Eagles for the 2010 season and played 28 games for the Eagles in 4 seasons. Bradd was delisted by the Eagles after the 2013 season and has been an exceptional performer for the Sharks League side earning him selection in the State Squad for 2015.